It's been a while - but here comes another SoapUI plugin to make life easier - and since we've released Ready! API the plugin works there just as well (I'm going to refer to Ready! API in the rest of this blog-post - but all applies to SoapUI Pro 5.1+ as well. Short background; I've been tasked with creating an android app that consumes a public REST API. 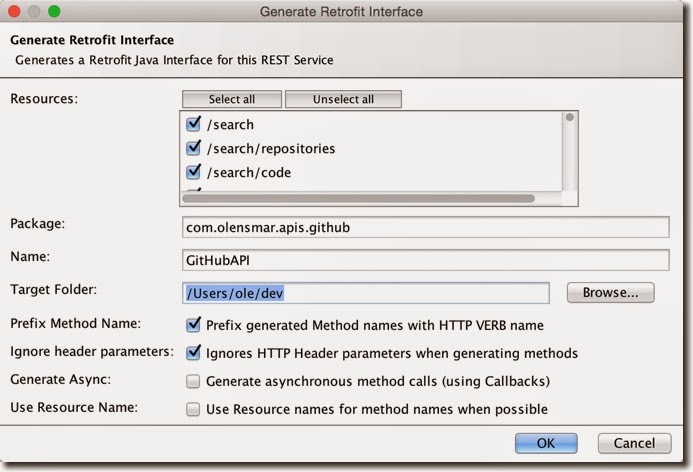 Using straight-forward HTTP calls seemed a bit old-school so I searched around a bit and found Retrofit - an very nice framework for calling REST APIs via a corresponding Java interface that defines the APIs methods, parameters, etc. The interface has to be created manually - which isn't all that hard if the API is small (which it was in my case) - but it occurred to me that generating the Java interface from some API metadata should be pretty easy - and since I hadn't created a plugin for some time (and I had some hours to spare this weekend) - the opportunity could not be missed. 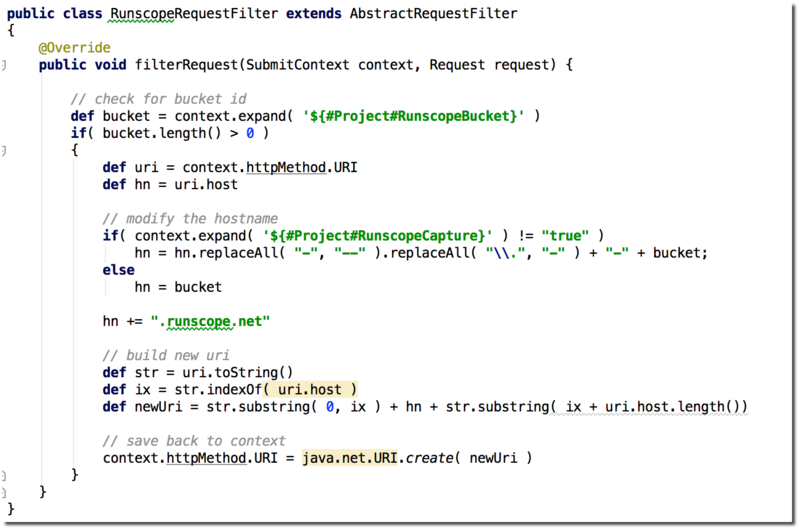 Say you want to consume a complex REST API from Java - but corresponding Java classes aren't available - and you'd rather not handcode each request using an HTTP client library. If that API has a Swagger definition you're in luck, since Swagger has some nice tools for generating code to consume an API - but more likely there won't be any metadata for this API - or it might be in a format that lacks corresponding tooling to generate client code (RAML, API-Blueprint, etc). 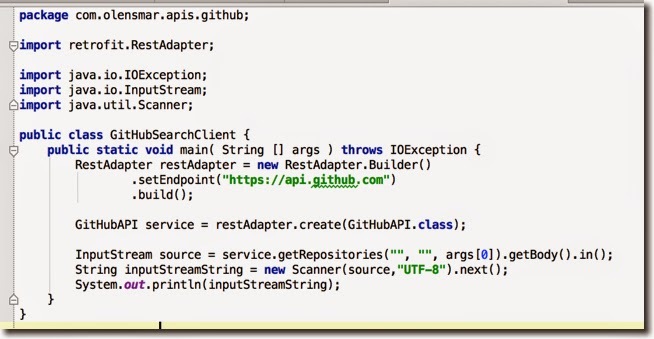 Retrofit tries to make things easier in this situation; you define a Java interface that contains methods corresponding to the resources and supported HTTP Verbs in the API - and it automagically generates implementations (and mocks) of that interface that you can use to call the API. As you are surely aware of by now - Ready! API let's you define and build tests for any REST API - either manually or by importing Swagger, RAML or WADL definitions (using one of the available plugins). Recent versions even has a "REST Discovery" feature that listens in on API traffic and generates REST API definitions, virtualization and tests from it - very cool if you have both the API client and server available. Since a REST API defined in Ready! 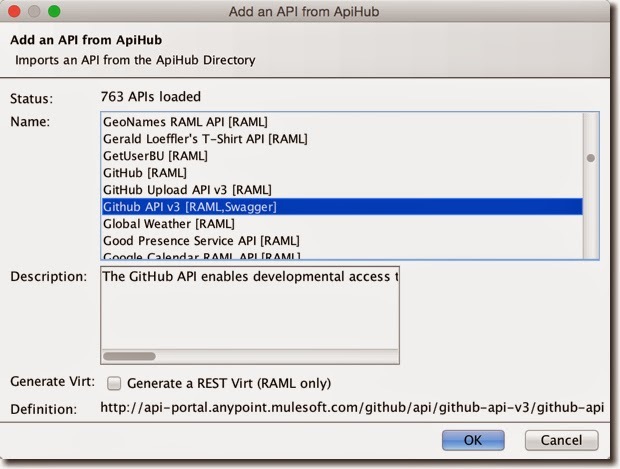 API contains the necessary metadata to generate a Retrofit interface - a corresponding plugin could be helpful - as it would allow you to easily start consuming any API you have defined in SoapUI with the generated code. Select the "Retrofit Plugin" and press the Install button - the plugin will get downloaded and installed - you're all set! Select which REST API Resources you want added to the generated interface, specify the corresponding settings - they should be pretty self-explanatory - and press Ok. If all goes well, the plugin will generate the corresponding Retrofit Java interface - for the above settings it generated this GitHubAPI file. 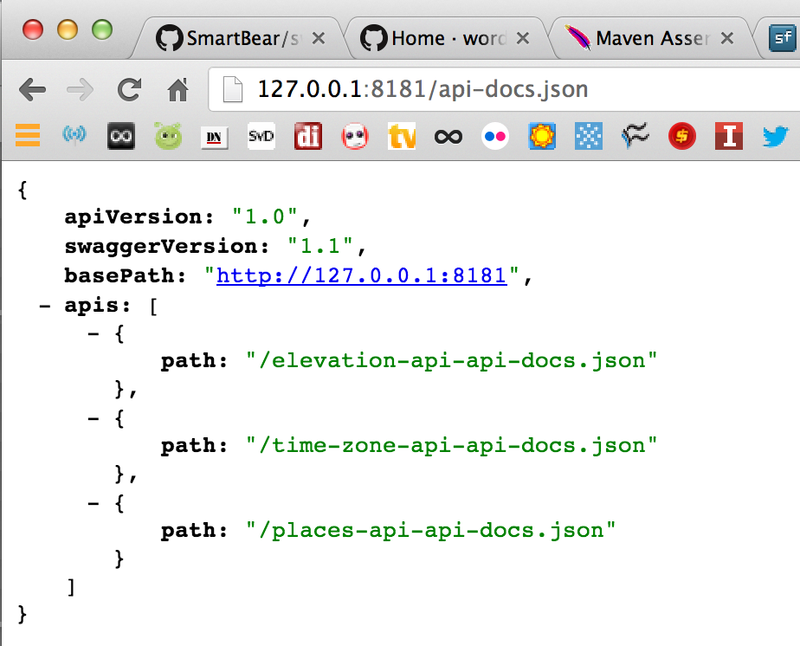 Running this with the argument "smartbear" returns a JSON result containing six repositories - just as expected! That's all there is to it - the plugin allows us to easily create Java clients that can be used in both server, desktop and android applications - and for any REST API defined in Ready! 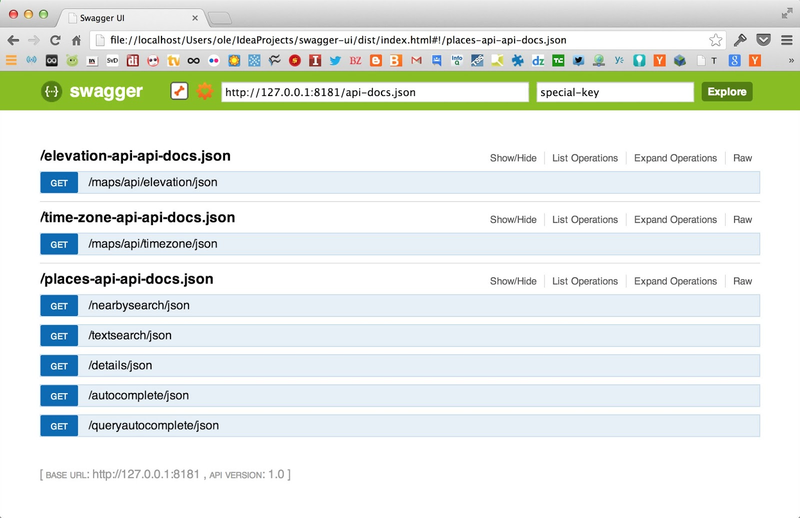 API - be it from metadata (Swagger, RAML, API-Blueprint, WADL), from a recording or manually. Let's create a simple plugin to illustrate some of these steps. Presto - that was easy! Your first SoapUI Plugin is installed and running - and you didn't write one line of code! Although it works - the plugin currently doesn't do much (it just shows a hello message). 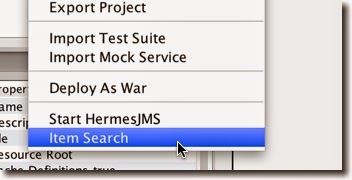 Let's improve the plugin to actually do something useful - search and open a list of matching items in the selected project. You can see the default implementation of the perform method - it just shows a "Hello from..." message in a popup window. Now comes the hard part - knowing your way around the SoapUI object model and APIs - have a look at The SoapUI Object Model to get an introduction and pointers to relevant javadocs. Double-clicking an item in this window opens the corresponding desktop panel for editing. Marvellous! That's all there was to it - the plugin is ready to by submitted to the plugin repository and spread to thousands of SoapUI users out there. The above plugin is available on GitHub - feel free to fork and improve it, ask questions or just use it. And as always - I'm looking forward to hearing from you. RAML is a relatively new REST API documentation/metadata initiative backed by a workgroup with representation from MuleSoft, Intuit, Box, PayPal, and others. It is similar to initiatives like swagger, api-blueprint, WADL (to name a few) but with some unique twists of its own. RAMLs adoption and eco-system of tools is growing continuously so it seemed like a good (and fun) idea to create a plugin for SoapUI that allows you import RAML files into SoapUI for testing of its defined APIs. Since the core model of all these REST metadata formats is very similar (resources, actions/methods, query/header/path parameters, representations, etc) - creating the plugin was rather straight-forward given that SoapUI already has pretty solid REST service and testing support. RAML itself uses YAML and comes with a java-parser which can be used to parse RAML files and resolve the described API model - the plugin uses this to resolve and traverse RAML files and create corresponding SoapUI objects. - Import these into SoapUI for functional testing, load-testing, security testing, monitoring, etc. I won't dwell on RAML itself here - I recommend you have a look at the RAML website and specification. The plugin itself is mainly written in groovy and pretty straightforward, have a look at the GitHub repo for more information on how to build it with maven, etc. Now, let's dive straight in! 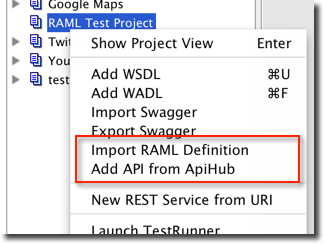 specify a local or remote RAML definition and press OK - it will get imported into SoapUI as a REST Service, allowing you to invoke the API using standard SoapUI REST functionality. 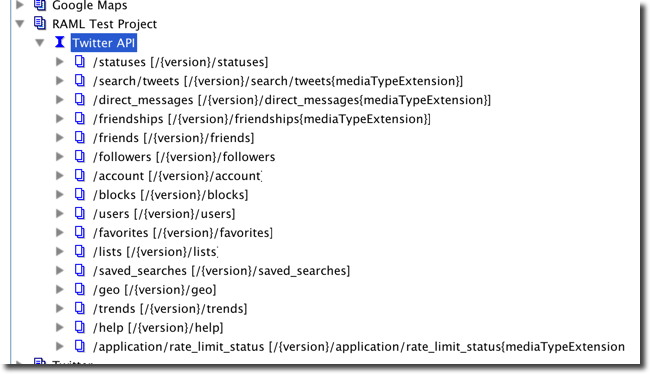 For example, below is the service you get when importing the twitter RAML file available at http://www.apihub.com/twitter/api/twitter-rest-api/twitter-rest-api.raml. Now you're all set to starting testing the imported API - check out the documentation at soapui.org if you need some assistance with getting started. One of the major shortcomings in SoapUI is its lack of built in support for OAuth 1/2. Thus, when importing a RAML definition that includes security schemes for OAuth, these will simply be ignored - requiring you to manually add access tokens or credential information to your requests. Another shortcoming is SoapUIs lack of JSON Schema support - any schemas defined in the RAML will currently be ignored. A natural next step would be to allow exporting of RAML definitions for any REST service defined in SoapUI - which would basically allow you to generate RAML files for existing REST services or those imported from other formats that are currently supported (WADL and Swagger for now). 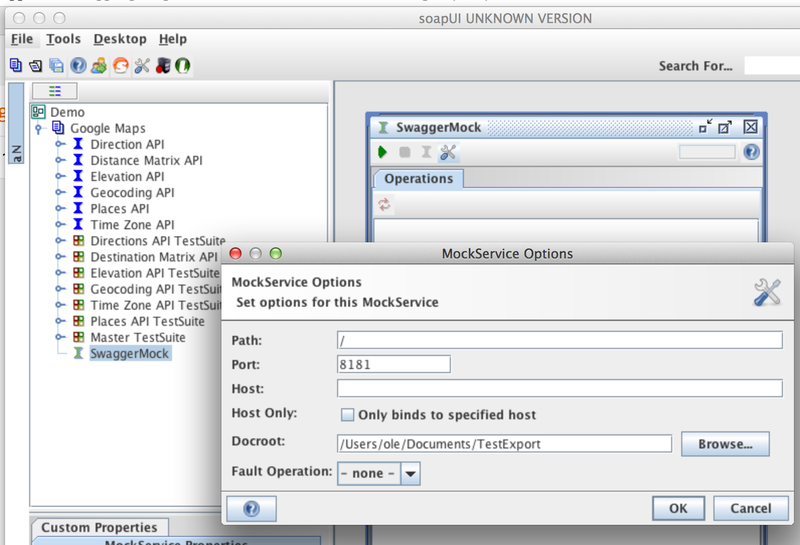 Of course you can also define a REST Service in SoapUI manually by creating resources, methods, adding parameters, etc. Ultimately though it's up to the users of the plugin to request new features - please don't hesitate to do so at the plugins GitHub page (where you will find more info on building, installing, etc). I've finally found some time to update the SoapUI Swagger plug-in to be compliant with both the new swagger version 1.2 and the really old 1.0. You should now be able to import any 1.0, 1.1 and 1.2 compliant swagger into SoapUI - if you can't please let me know so I can make more improvements. From a functionality point-of-view there is no change to the previous version - download the plugin and unzip it into the soapui/bin folder; the zip will add files to the ext and plugins folders (be sure to remove any previous versions from these folders). For more details on how to use and install the plugin please check out the initial blog-post. 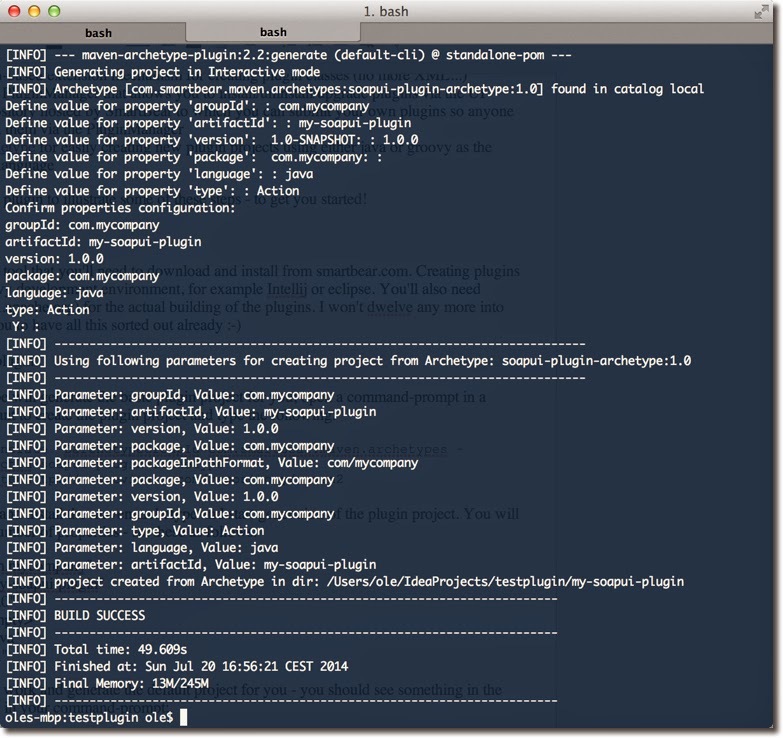 The plugin source code is as previously available at GitHub under the apache license. Driving most of these changes is an update to the swagger4j library used by the plugin - swagger4j is a standalone java library that basically provides a Java object model and corresponding readers and writers (much like other XXX4j libraries) for swagger resource listings and API declarations. Currently it doesn't support for the model-element of swagger, although that is something that I hope to support whenever a java library for JSON Schema is made available. swagger4j is at GitHub as well - open source for your pleasure. The major shortcomings in the plugin are related to corresponding lack of functionality in SoapUI; OAuth support (which I know the SoapUI team is working hard on for the next major release) and JSON Schema support. Thus, if your swagger contains authorizations metadata this will be "lost" when importing your Swagger into SoapUI (although the underlying swagger4j library makes it available) and you will have to set up any access-token/apiKey/authorization headers manually. Also, any JSON schemas/models in your swagger will be ignored during the import as SoapUI currently works exclusively with XML Schema for payload metadata. As soon as support for these features is available in SoapUI, I will strive to update the plugin accordingly. The next major undertaking under consideration is integrating the swagger codegen utilities into the plugin which would allow you to generate code for any API defined in SoapUI (be it from Swagger, WADL or manually) for the 10+ languages supported by the swagger toolkit. Please let me know if that sounds intriguing (or if it doesn't) and of course don't hesitate to suggest any other functionality you might want to see in this plugin. Another week - another cool API-related service! This time it's Runscope - a web application that basically allows you to record and replay API requests and responses that get routed through their platform - with a bunch of additional bells and whistles. It was launched publicly at GlueCon a couple of weeks ago - and although I'm not quite sure of the use case I couldn't resist creating a very simple SoapUI plugin that easily lets you run your requests through their platform instead of directly to the target endpoint. 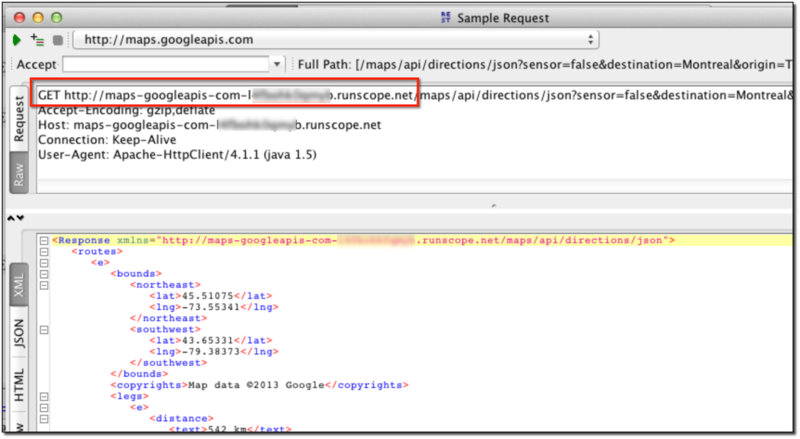 To run your requests through Runscope you simply need to modify the endpoint as described at https://www.runscope.com/docs - obviously an easy task for a SoapUI RequestFilter - let's get busy! The plugin code is extremely simple; the main artifact is a SoapUI RequestFilter that modifies the request endpoint as described in the Runscope documentation. Since a bucket-id is required, the plugin looks for a Project-level property named "RunscopeBucket" - if it exists its value will be used accordingly. and can be found on GitHub at https://github.com/olensmar/soapui-runscope-plugin. Be cautious though; when I say all requests, I mean all requests - included those in a LoadTest, SecurityTest, etc. If you forget to unset the "RunscopeBucket" property you can easily fill up your bucket at Runscope in no time. Runscope has the option of not forwarding your request to its target endpoint - so you can "debug" and record the outgoing request without loading the target service - to enable that add a property named "RunscopeCapture" to your project and set it to "true" - this will modify the outgoing endpoint accordingly. That's it - nice and easy. Download the plugin from sourceforge and have a go - let me know if you have any issues or want any improvements! SoapUI + Swagger = true! Since I published the original version of the soapui-swagger-plugin in late 2012, Swagger has continued to gain traction within the API community. For those of you not familiar with Swagger, it's a metadata format for describing the ins and outs of a REST API - much like WSDL is for SOAP APIs - have a look at the Swagger website to learn more. The initial version of the plugin allowed you to import Swagger definitions into SoapUI - making it extremely easy to send ad-hoc requests, create functional tests, load tests and API monitors for the Swagger-described API (and all for free!). 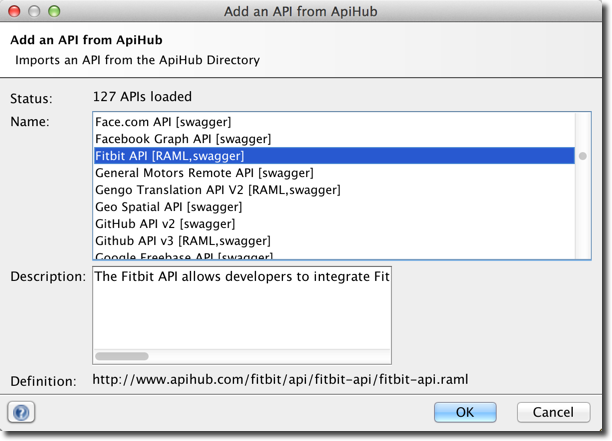 When discussing the plugin with some users at APIStrat earlier this year, they requested the possibility to be able to export Swagger definitions as well, i.e. 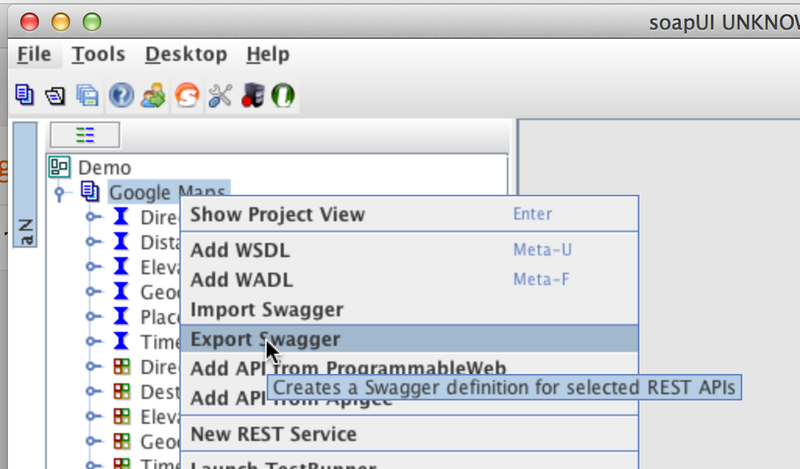 if you have a REST API defined in SoapUI - they wanted to be able to generate a corresponding Swagger definition that they (for example) could use with swagger-ui to provide your customers an online tool for trying out your API. 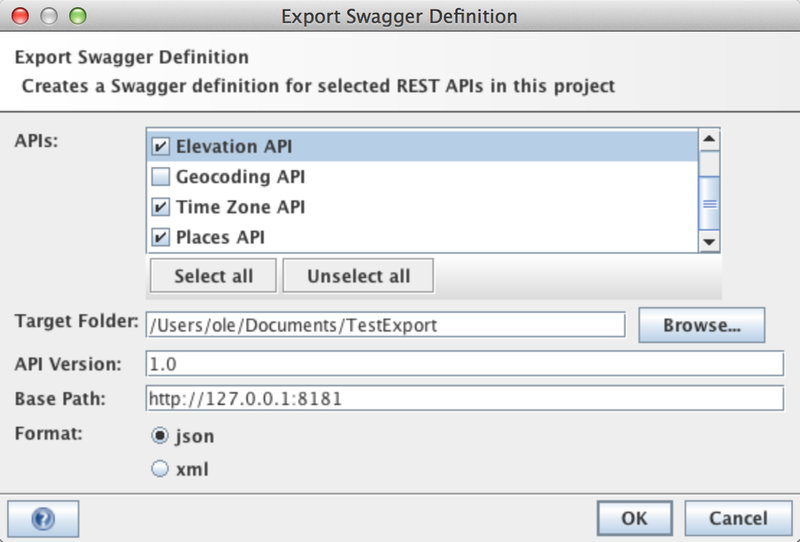 Obviously I couldn't resist the challenge, and although its taken me some time I'm happy to finally announce version 0.2 of the plugin that does exactly that; exports Swagger definitions for any REST API defined in SoapUI - which has some cool usage scenarios. Let's dive in. Despite its contextually unfortunate name - SoapUI has had good support for testing REST APIs since 2008 (!). REST support was initially modeled around the WADL specification (an initial attempt at providing metadata for REST APIs) - fortunately the object model in Swagger plays pretty well with WADL, which makes the Swagger import/export feature in the plugin play seamlessly with SoapUIs REST support. Press the OK button when you've set the options as desired; SoapUI will work a little and prompt you with the path of the generated Swagger resource listing. 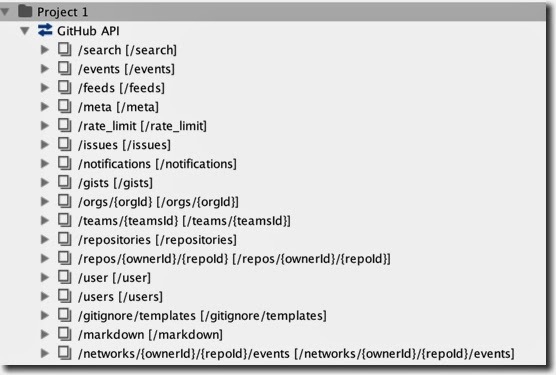 This is ready to go; feed it into any other tool that supports Swagger - for example you can use swagger-ui to provide a nice online UI for exploring the described API (see example below). 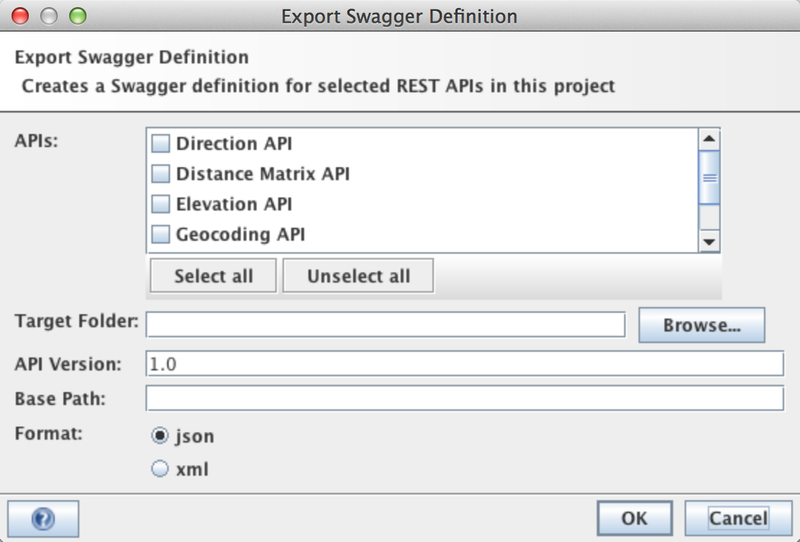 Swagger-creation; if you need a visual tool to build Swagger definitions "from scratch" you can use SoapUI to define your REST API which you can then export. Now how do you get swagger-ui to read the resource-listing generated by SoapUI? Unfortunately swagger-ui doesn't support file-based URLs so we need to do a bit of trickery with SoapUI to expose our Swagger for swagger-ui; the MockService functionality in SoapUI can be used as a miniature web-server, which is just what we need here (if you have a local web server running you can of course use that instead). Awesome - we've created Swagger definitions for some of the Google Maps APIs and can now do some simple API invocation from within swagger-ui! Here you can now specify to import Swagger API Declarations directly (instead of always having to provide a Resource Listing) - which can come in handy for some of the API-mgmt platforms out there that provide API Declarations directly (APIHub for example). Version 0.2 of this plugin needed a more robust way to read and write Swagger definitions than the groovy scripts that were used in version 0.1 to just read them. I've separated this into a separate java library - swagger4j - which has no dependencies on SoapUI whatsoever and can as such used within any Java program that needs to read or write Swagger definitions. It's open-source (Apache licensed) and available over at GitHub - check it out, and don't hesitate to give me feedback so I can improve that as well. So what's next? You tell me! Please get in touch if you want to see any specific fixes, improvements, etc - I'd love to hear from you. I had the great pleasure of attending the APIStrategy Conference in NY together with @lindybrandon and @davidyaches from SmartBear a little more than a week ago - it was a great event with a good mix of topics, people, discussions and hangouts. I've tried to sum up some of the stuff that has stuck with me over the following days – hopefully you will find some interesting tidbits in there. This is my major take-away from the conference; the API community is having a blast! Geeks, hipster coders, architects, business developers, senior marketers, sales and product owners - they were all there gathered for the feast - and they were feasting together. Historically I have often seen a divide; geeks are passionate, business is skeptical- or business is raving and the geeks don't get it. Here though they are all rowing in the same direction - helping and complementing each other - it was awesome to behold, and holds great promise for future developments in this movement. Of course - there was quite a lot of competition as well. For example the panel discussions on API Management and PaaS sometimes had a "mine is bigger than yours" component that was quite enjoyable for the audience - but surely challenging for the participants. The players are both startups and existing enterprises that have adapted their offerings to the API space, both have their pros and cons; who will win in the end is definitely still out in the open. Swagger is a metadata format for describing REST APIs, and as such it can be used to generate code, documentation, tests, mocks, etc. It's an open-source project created by the wordnik folks, now hosted by a spinoff named Reverb. When I first encountered it a couple of months ago I was a bit surprised given the existence of WADL which is an older standard that solves all the same problems. Given the situation at hand, Swagger has definitely succeeded where WADL has failed; it has been adopted by many of the API management and tool vendors at the conference, and it’s looking to be the primary choice for many REST projects out there (based on my experience talking to SoapUI users both at the conference and besides). There are probably many reasons for its initial success (apart from a cool name); it is based on actual API usage, has a tooling ecosystem, prefers JSON and the Swagger-UI just looks great. WADL on the other hand is "just a spec", sounds suspiciously like WSDL and lacks the "underground appeal" of the Swagger community. Hats off to the Reverb team – hopefully they can govern and evolve Swagger in line with trends in the API community. Academically, I find it interesting that a metadata format catches on at all in the REST community; much of the initial driver behind REST was to move away from metadata and specifications, and while the more biblical REST crowd talks about hypermedia APIs as a means to avoid metadata and tight coupling between client and API - the pragmatic users seems to realize the benefits of metadata in an enterprise setting (more on that below). In the end, I think whatever the API community finds best solves their problems to "get the job done" will prevail. REST has been around for a while now - the original dissertation by Roy Fielding was published in 2001 - but it didn't really catch on until developers got fed up with the proliferation of WS standards and needed a much simpler way to consume data in the client AJAX applications around 2007-2008. Recent developments within the core REST community have me worried though; talking about "REST maturity levels" and "real REST" while quoting Mr. Fielding’s dissertation as their holy parchment gives at least me a bitter aftertaste; many of the current REST adoptions and APIs are perfectly fine and provide excellent value to their users even if they don't follow HATEOAS principles or use something like HAL to expose hyperlinks. If you're providing APIs I suggest you approach these with a grain of salt, the main goal of your API is to swoon its users, not follow design principles (although these could of course complement each other). Back to the conference; while there was a lot of talk about the promise and implementation of hypermedia APIs and HATEOAS principles, the Netflix story told by Daniel Jacobson took things to the next level; REST wasn't a good fit for them as it put too much overhead on their client applications (tailored to 800 different clients!) which assembled their pages from a multitude of REST APIs. Their solution was to create an "orchestration layer" on the backend that assembled data from the internal APIs into what they called an "experience API". This was consumed by the device and exposed data selected specifically for that user – and as this API didn't follow any REST principles it doesn't qualify as such - it's just an API that works. Incidentally - if you are old enough to remember (like I am) - this is similar to the move from RPC style web services to document style that happened around 10 years ago; instead of making multiple smaller calls to assemble a final result, the actual orchestration logic of all those pieces was meant to be done in one go on the server and returned in one document. Security; transport-level security provided by SSL is far from enough for health care, banking, etc - how does REST support persistent signatures and encryption!? Transactions and Reliable Messaging; is HTTP good enough for messaging requirements that are beyond request/response? What alternatives are there? Many of the talks at the conference highlighted the need for solutions to these problems - and I'm sure they can be solved, I'm just hoping that we in 3 years’ time won't have the same WS-(death star) mess that the SOAP community got into when the major vendors initially tried to solve these problems on their own, and then got together in extremely sluggish committees to try to unite the standard into a common one. I guess this is a little off-topic but I'll take the opportunity; several people I talked to at the conference regarding testing of their APIs with SoapUI squarely countered with "we don't do SOAP". <rant>This is so frustrating! SoapUI has had extensive REST support since version 2.5 released in 2008; resources, HTTP Verbs, representations, parameters, URL-templates, JSON, XML, content-negotiation, security, you name it. You could easily set it up to test true hypermedia APIs and now there is even a swagger plugin that allows you to import swagger definitions, and given all its other testing features (and that it's actually free) it should definitely be part of an API testing strategy </rant>. I’ll end with a huge thanks to all at the conference for their presence and passion, and an extended thanks to Kin Lane for his insightful and extremely knowledgeable apievangelist.com blog and his commitment to the API movement. Hope to see you all at the next conference – please share your thoughts on the above and the conference in whatever medium you find appropriate.